I would like to use this thread for discussion on the Knights of Ren and everything we know about them so far. Here's some of my theories and I'd love for everyone to share theirs. I think they are Luke's old students - Kylo Ren didn't kill them, they turned against Luke together. I think the reason why they don't appear to have lightsabers might be simple - they haven't been able to create them. Are they currently dead or alive? Hopefully alive, I really don't think we have seen the last of them. Chekhov's Gun springs to mind there. Did Snoke or Kylo Ren create the group, or someone else? They created themselves when they turned against Luke. Who or what is Ren? This is the one that stumps me. Is it a title or a person? I'm not sure. Will they appear in VIII? Yes they really should, even if just to provide some awesome fighting skills. Any other thoughts KOR related are welcome of course! Once the DVD comes out we will be able to add screenshots from their brief appearance in TFA. @Airemyn wrote: I would like to use this thread for discussion on the Knights of Ren and everything we know about them so far. Here's some of my theories and I'd love for everyone to share theirs. 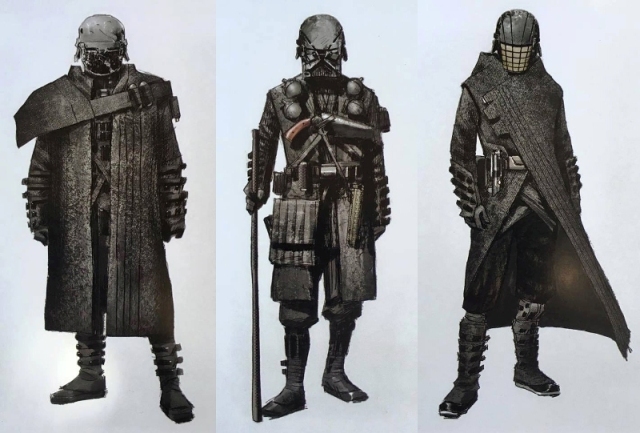 I would said that they would be like a group of samurais but not entirely belong to FO, they could be a different legion, Kylo could be the Leader of the group and since he join Snoke, the other Knights also join the FO (a samurai always need a master to serves and protect). But the KOR are not necessary to be all bad. So in episode VIII I think they will appear but maybe a scene or two. And if Kylo did have a redemption, this would cause a stir among others Knight, some could follows him and die while protect or fight alongside with Kylo (and Rey if possible). Their death could be some sort of motivation for Kylo to live and do the right things. Yeah @Sylvia Snow I've seen Seven Samurai before, it's a great film. I agree with you too that they are not all bad, I just think they might have lost faith in Luke's teachings if they were his students. The title 'Knights' does make me think of Jedi Knights. Adam Driver mentioned in an interview that the KOR were a satellite group and not part of the FO. I am in two minds whether the KOR are good or bad, but I noticed that the KOR are called the 'Seven Light' in concept art. Lucifer is called the 'Shining One' so this immediately brought to mind the seven Lords of Hell, each representing one of the seven deadly sins- Lucifer (pride), Beelzebub (envy), Satan (wrath), Abbadon (gluttony), Mammon (greed), Belphegor (sloth) and Asmodeus (lust). So my theory is that the KOR has characteristics of both the Cult of Ragnos (dark side force users who escaped when the Empire fell, who worship a dead sith lord) and the Seven Dark Jedi led by Jerec (again a group of dark jedi who rose after Palpatine's death). If there are seven KOR, I will be more confident of this theory. I also predict there will be at least one important female member (a mix of Dark Jedi Sariss and cult leader Tavion) and Mandalorean members (we’ve seen the Mandalorean helmet in Rey’s force vision of the KOR, former inquisitors and bounty hunters in this group. The reason why we haven't seen them is because they probably only participate in really important missions (like the members of the cult of Ragnos). I feel at least some of the members are Force Sensitive, and they scour the galaxy for jedi and sith artifacts (lightsabers, holocrons etc.) and force nexuses on behalf of Snoke. Having a female KOR would make sense in terms of diversity too. Maybe during TFA they were on a mission to retrieve some artifact. KR is probably not always traveling with them and he had to take care of the map to Jedi Temple/Luke. It would be nice if they were force sensitive without having the potential to become powerful force users. It could account for more interesting fights. Between Maz and the female KOR maybe? I still want my girl fight. Oo, liking all of this! I posit they are fallen Church of the Force members rather than Luke's students though since they don't wield lightsabers. @MeadowofAshes wrote: Oo, liking all of this! I posit they are fallen Church of the Force members rather than Luke's students though since they don't wield lightsabers. That's certainly possible. I just thought that they could be Luke's students as it would tie in nicely to the overall story. I was thinking that perhaps Luke wouldn't allow any of them to have lightsabers until they completed their training, but then I guess that wouldn't make sense if they still haven't got lightsabers now. unless that just wasn't included in the vision and they do actually have lightsabers? Who knows. Ben was likely the oldest student of Luke's, he used his grandfather's lightsaber (Trials of Tattooine), and the ligthsaber he built is completely janky - old design, exposed wires, clearly not guided by anyone except the Force (and why it led to that design, we'll talk about in other threads...) - so the idea that these guys have to have lightsabers if they were Luke's 'students' is totally false I agree. I definitely do not discount the idea that they are just all Force Sensitives, as Maz being one (without being a Jedi) was introduced - and of course Leia, though she doesn't use her powers consciously. @Airemyn wrote: Did Snoke or Kylo Ren create the group, or someone else? I think Snoke would have had a hand in it personally, because if Kylo defected under Snoke's influence, I'm sure Snoke suggested what to do - Ben was still pretty young. Or it could be that Ren was just the secondary name Kylo took, so they're literally the Knights of Ren, but I think Ren has more significance than that - maybe part of the history we'll see soon, given to him by Snoke. Because Snoke definitely talked about how lauded the KoR were, and ultimately they had only been around for 10ish years. "Even you, Master of the Knights of Ren, have never faced such a task" - what tasks could possibly have been super difficult? The FO operated heavily under the radar in the unknown regions until TFA, so it's not like the KoR were going around terrorizing the galaxy - what gives? Greetings my dear young padawans... These are rocks, not bodies, with exception of that dead knight, killed by Kylo. Thanks @Sforza! I still think (and hope) that this is a future scene in the next film. @Kalianah that's a good point about the KOR starting with Snoke involved. I think they are quite likely to be some kind of relic hunters, and they've been on a mission during the events of TFA. Someone mentioned in another thread that the timeline of TFA was around two days, so I suppose it's not that odd that they wouldn't be around during the events of the film. and @Airemyn yeah, it was a whirlwind couple of days - I imagine we'll see the Knights more along the way, and I have complete certainty that the scene where Kylo kills the Clan Leader in front of Rey is a Force vision. No doubt about it. In The Star Wars:The Force Awakens, The Official Dictionary, it is mentioned that "Rey is bombarded with force related sounds such as the voices of Mater Yoda and Obi-wan Kenobi and visions of the fearsome knights of Ren, led by Kylo Ren, who founded the order after falling from the light." Why are there so many holes in the ground?! Are KoR grave diggers? @panki wrote: In The Star Wars:The Force Awakens, The Official Dictionary, it is mentioned that "Rey is bombarded with force related sounds such as the voices of Mater Yoda and Obi-wan Kenobi and visions of the fearsome knights of Ren, led by Kylo Ren, who founded the order after falling from the light." And nope, Kylo didn't found them. They were founded about 20 years before he joined/a few years after the Battle of Endor if I remember correctly. But I noticed in the visual dictionary that the torture instruments they use are the same as the ones used by the Inquisitors of the Empire....so could they be a revival of the Inquisitors under a new name? Ohh I got all excited then. There are theories that the KOR worship Vader (like a cult?) and may be connected to the Acolytes of the Beyond, a dark side equivalent of the Church of the Force. If they worship Vader, it makes sense that Kylo, Vader's grandson, would be made their master... Also, in the old call sheets I believe (I would have to confirm), the KOR are called dark warriors. 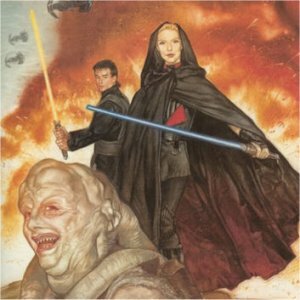 The Acolytes of the Beyond are a group of Vader/dark side worshippers mentioned in the SW canon novel, 'Aftermath' which takes place shortly after the Battle of Endor. In 'Aftermath' three acolytes (2 men and 1 woman) purchase a light saber from a merchant. The merchant tells them it's Vader's saber. The woman tells the merchant the acolytes wish to 'return' the saber to their master (Vader) in death. After they purchase it and leave, the merchant tells his assistant he's not really sure the saber he sold to the acolytes was actually Vader's saber. 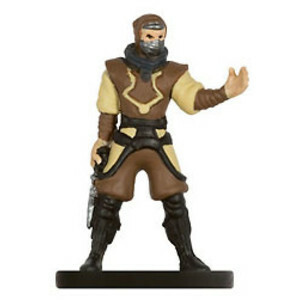 i have this wild speculation that maybe knight of ren founder might be Luke. I read somewhere(i think in the interview i dont remember who) that knight of ren existed even before kylo join and started after battle of endor. Luke wardrobe in ROTJ is full black and the jedi sometime refer as a jedi knight in the past film especially OT . Sorry ppl, I was completely taken by my job and haven't been here for ages. These are not holes, I see only rocks. I tweeted to Pablo but he ignored me. And, it was something about that line I heard on that locked thread, so, it was: Rey is confused about her feelings. Hahahahaha, I'm jedi youngling again! I feel so young now. They look like bodies, but 90% of them are clearly rocks. You can see it when the light flashes. They're meant to look like bodies in the dark. What did you Tweet Pablo that he ignored? A question about whether they're rocks or bodies? Right. I think that this scene was set up to be intentionally misleading when viewers watch it whiz by in the theatre. It's meant to look like a slaughter, where Kylo and the other KOR have killed a whole field of bodies. BUT, on closer examination, nearly all of the "bodies" are rocks--they're on a rocky beach (IMO) and not a battlefield, and the big thing is that Kylo kills someone who is poised to bludgeon a person (possibly Rey) laying on the ground. But you don't catch any of that on first viewing, and I think that's intentional. yes, so that could me the answer to me that these are rocks. Yep. I just watched a digital version and they do seem to be just rocks. If this is Luke's island and it's the future, who is the guy that was killed other than one of the KoR? That's the only explanation I can think of, unless this isn't Luke's island and it's elsewhere.